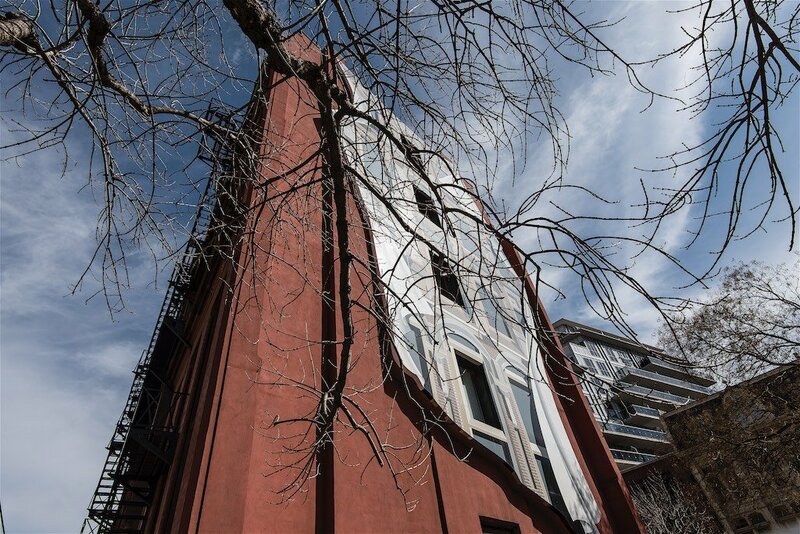 The Gooderham Flatiron building is an iconic structure which was thankfully salvaged from Toronto’s demolition era of the 1960’s and 70’s. Construction was completed in 1892, and it’s said that it inspired New York’s famous flatiron building which was completed in 1902. It originally housed the headquarters of famous Canadian distiller Gooderham & Worts until 1952. It’s distinctive narrow wedged shape has a mix of Romanesque and French Gothic design. 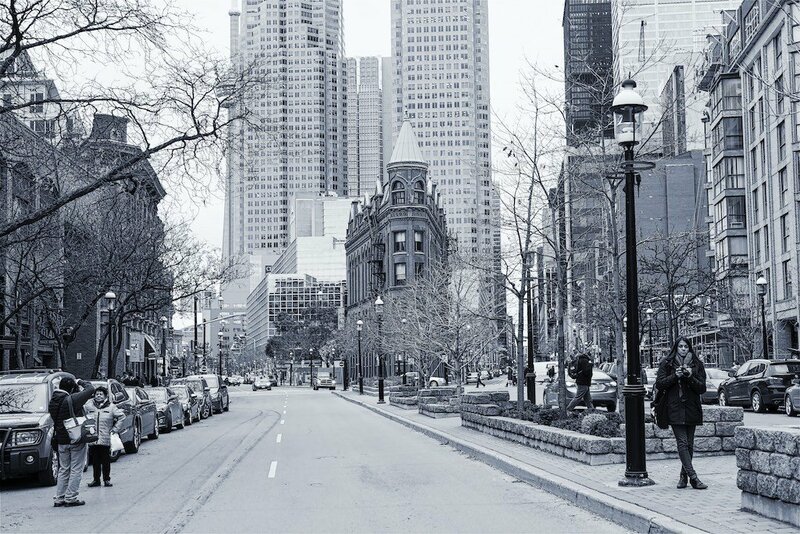 It welcomes visitors to Toronto’s St. Lawrence and Financial Districts. I have fond memories seeing it as a child when my Father took me to St. Lawrence Market on Saturdays. We always bought a bushel of peppers from an older Bulgarian gentleman. It’s funny how a building can have an emotional effect on one; bringing one back in time. 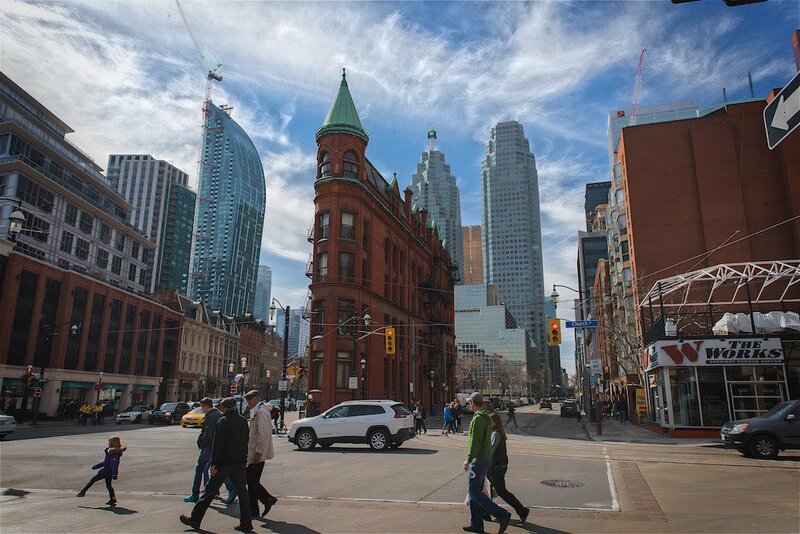 The Gooderham Flatiron Building is a favorite subject for many photographers and those that choose to use mobile phones or tablets. I suggest photographing it earlier in the day as lighting is better – particularly in the morning. Long exposure shots are always excellent in the evening as vehicles travel east and west around it. 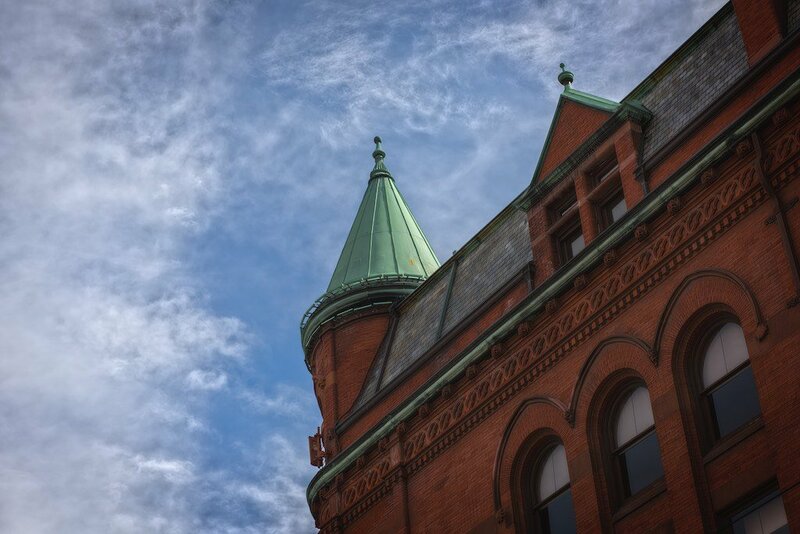 The Gooderham Flatiron Building has to be my favorite structure in Toronto. The area has a lot to offer – including fine dining and entertainment. There is a pub on the lower level of the building. They have a nice patio during warmer months and the beer and eats are great. The rest of the building is leased to several companies and is used as office space. Named as a heritage building in 1975, it’s one of Toronto’s most iconic buildings which should be preserved and cherished forever. This entry was posted in Architecture, Toronto and tagged architecture, Toronto.